ODS is developing specialist technology to support the removal and decommissioning of future North Sea Oil & Gas decommissioning projects. 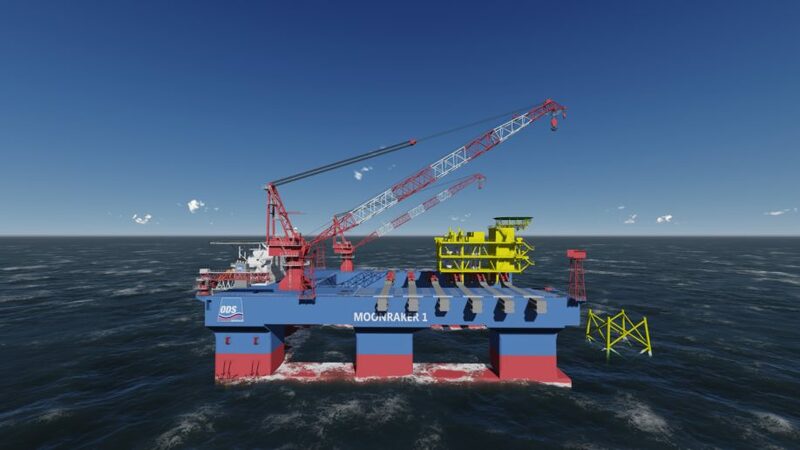 ODS are building a UK flagged multi-purpose heavy lift vessel to be named “Moonraker I” (see attached image), which will be delivered in 2021 in readiness for the anticipated escalation in North Sea decommissioning demand. Commenting on the announcement, Lee Johnson, Chief Executive of ODS said: “It is ODS’s ambition to reduce the cost and time to decommission topsides, substructures and subsea infrastructure and we believe ODS, working with others in Dundee, can bring a holistic and commercially attractive decommissioning solution to the industry. We can deliver the OGA strategy on cost reduction, regulatory compliance and contractual and commercial optimization from Dundee.